If you’re not a fan of ubiquitous white shades, a black electric radiator provides a daring break from tradition. For contemporary homes with luxurious décor, a black electric radiator is the perfect finishing touch – symbolising your keen eye for detail and bold disregard for household appliance tradition. If your home is styled with crisp greys and warm tones, like the image to the right, a black radiator can help to draw everything together – providing a well-balanced space that’s magazine cover worthy. Alternatively, you can use a black electric radiator as a striking room feature for spaces that would otherwise fade into the background. The Rointe Delta D is one of our most attractive electric radiators, combining an elegant aesthetic with advanced heater control. 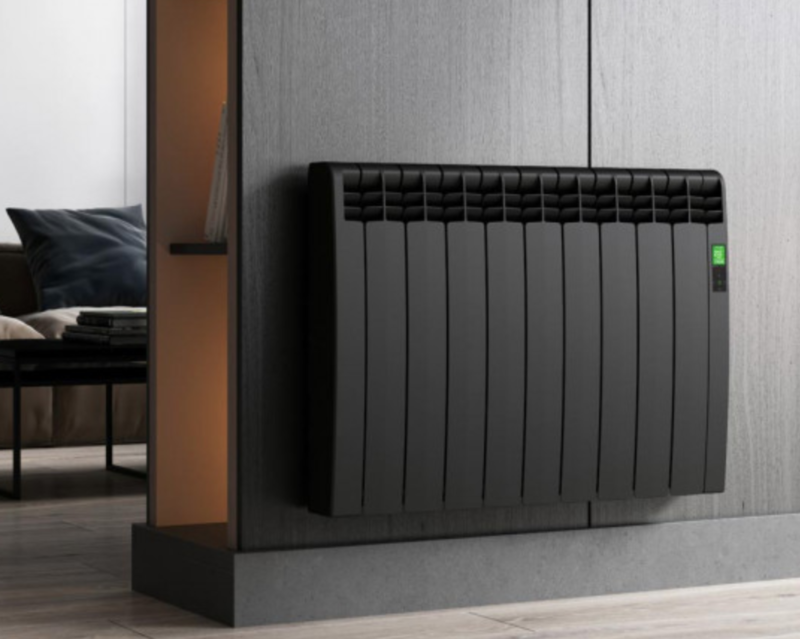 Finished in graphite, the Delta D’s fluted front vents and slightly curved body make it a welcome departure from traditional radiator design: the ideal choice for anyone who wants statement heating. If you think a black electric radiator might clash with your décor, why not consider an equally stylish and slimline alternative? For homes with a cosy, minimalist feel, a white electric radiator is the perfect choice – providing a crisp, neat and tidy look. Our bestselling electric radiator, the Haverland RC Wave, boasts a refined appearance that makes it suitable for just about anywhere. Whether you have an inviting blank space, like the image to the right, or a room that’s decorated to high heaven, this subtly styled electric radiator adds a dash of sophistication wherever it’s placed. 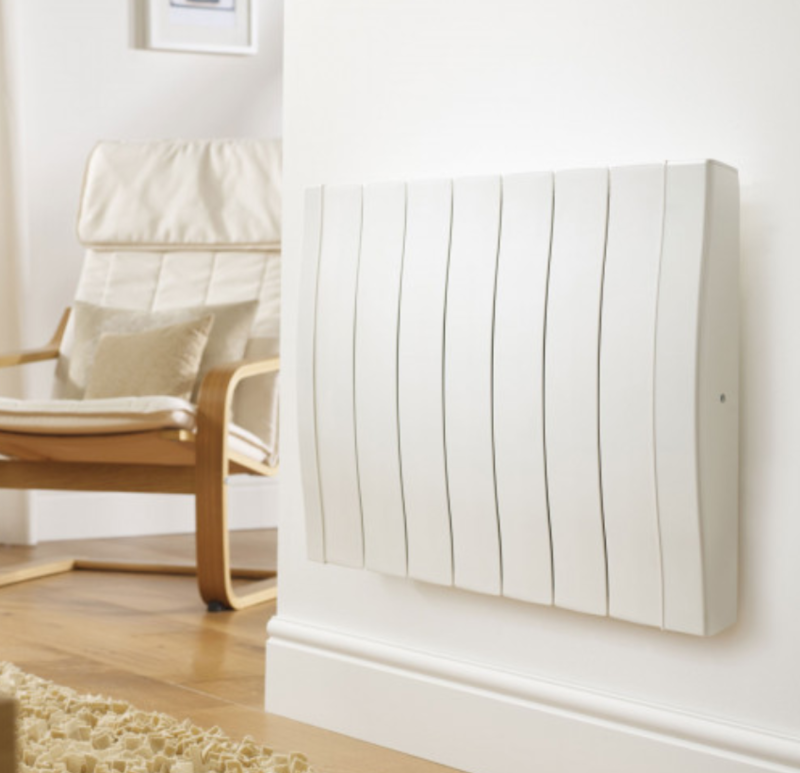 The RC Wave is styled with a curvaceous body that sets it apart from the rectangular frames of conventional radiators – offering a unique slant on home heating systems. The Wave’s understated design allows your décor to take centre stage, without entirely blending into the background like functional heaters of old. The perfect choice for living rooms, studies, hallways, and pretty much anywhere, the RC Wave’s versatile design makes it suitable for every day use in every space. If your home has a traditional aesthetic, the curves of the RC Wave or the sleek black body of the Delta D might not be entirely appropriate. For stately spaces, an electric radiator with a conventional pleated body is the obvious choice. Combining the classic appearance of older heating systems with the advanced control of modern systems, the Ecostrad Ecowärme is the perfect electric radiator to satisfy traditional tastes. Styled with an archetypal fluted front, the Ecowärme can be installed on the grandest of walls without looking out of place – offering elegant heating that retains a sense of tradition. Finished in white, this electric radiator bridges the gap between old and new, while still managing to look dignified in the process. 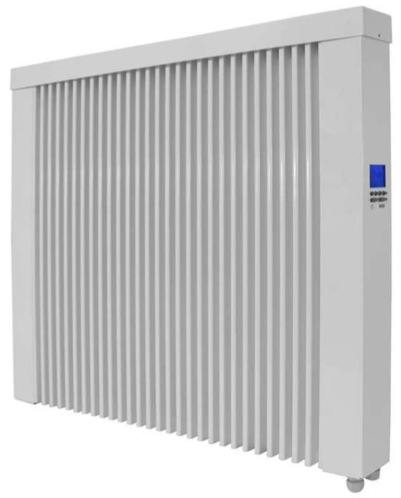 This high-quality German electric radiator can even be purchased in a slender vertical orientation – an ideal choice for expansive rooms with plenty of wall space. Whether you’re lucky enough to live in a period property or simply appreciate a nostalgic design, the Ecostrad Ecowärme is the ideal traditional-style electric radiator. Although not an electric radiator in the traditional sense, infrared heating panels provide a cutting-edge aesthetic that thrives in modern spaces. If your home features clean lines and uncluttered rooms, a slimline infrared panel is the ideal choice. Resembling a piece of artwork more than a heating system, infrared panels offer sleek, unobtrusive heating that truly blends into the background. These slimline appliances use infrared heat to warm objects and people directly. While this has its own set of heating benefits, from an aesthetic point of view, infrared panels are the epitome of style – providing unique and discreet heating. Featuring a range of designs, from frameless white panels to mirror finish versions that are perfect for use in bathrooms, infrared panels are the 21st century solution to stylish interior heating. The Herschel Inspire Infrared Panel in the image to the right can even customised with heat resistant paint! 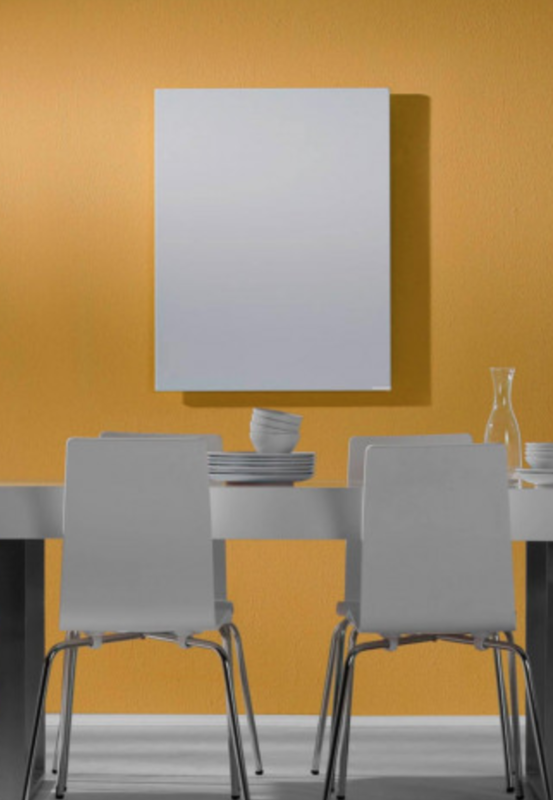 Streamlined, inconspicuous, and effortlessly elegant, for the contemporary abode, an infrared heating panel is a must. Whether you’re putting the finishing touches to a new build, upgrading your existing décor, or simply fancy a change, at Electric Radiators Direct, we have an exciting range of electric radiators that can breathe new life into your home. For attractive home heating, browse our full range today.